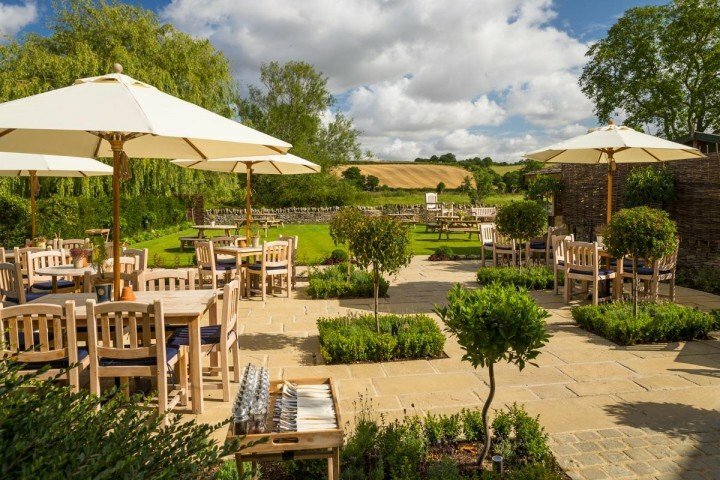 A superlative Sunday lunch at a rejuvenated country pub near the Ridgeway in South Oxfordshire? Shall we? 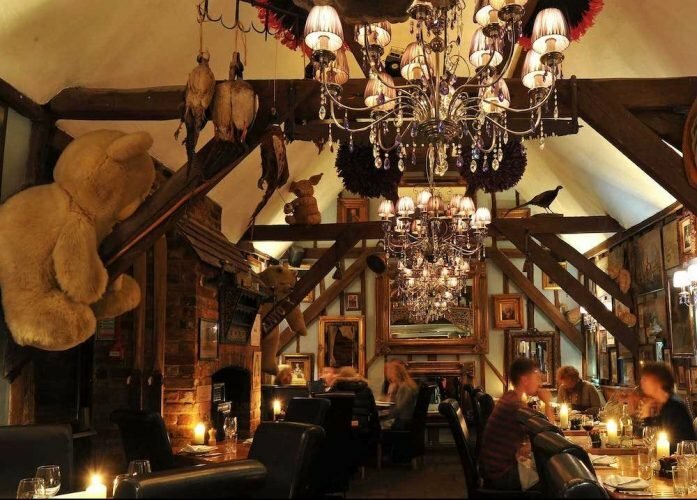 There’s only so many slap-up three-course meals I can eat in any one week before gastric band surgery beckons, so I reluctantly despatched Muddy’s Sascha Way and her squad to eat, drink and be merry at The Greyhound near Wantage. I’ve heard very good things about the food – but will it meet the Muddy exacting scoffing standards? 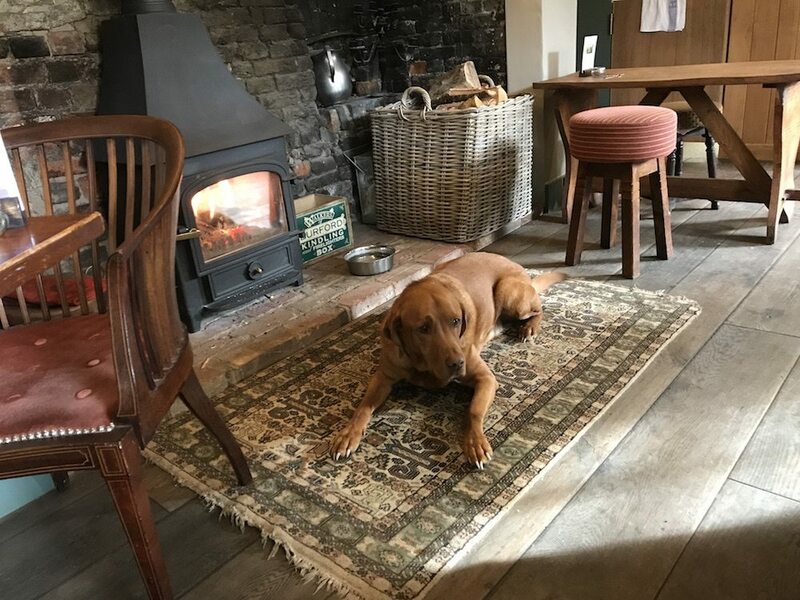 Letcombe Regis locals Martyn Reed and Catriona Galbraith bought this 18th century village pub in 2015 and have transformed it from a dated spit’n’sawdust inn to the thriving hotspot it is today. 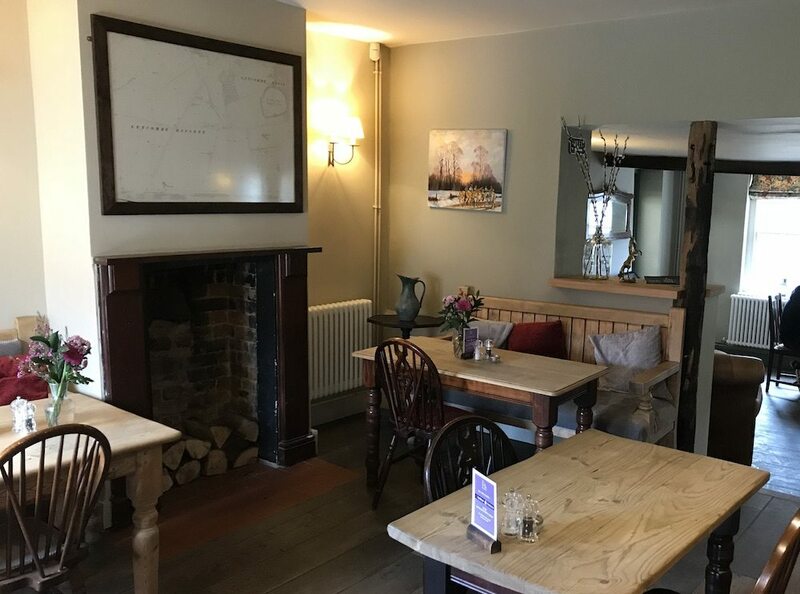 A family-friendly gastro pub, yes, but also a prime spot for a pint and a ponder – this year it won CAMRA’s Best Country Pub award. It bears more than a passing resemblance to Muddy Award winner The Pointer in Brill – is it a portent?! This pretty village is close to the Ridgeway so the pub is popular with – and caters well to – cyclists and walkers, including the four-legged variety. We took our Labrador and he was thrilled to be offered his own box of doggy treats while we ate Sunday lunch. On two wheels? There’s handy, large, lockable bike sheds. You step in from the high street to a welcoming beamed bar and dining space with an inglenook fireplace housing a wood-burning stove. The décor is contemporary rustic-chic, with a taupe, red and green colour palette alongside scrubbed wooden tables and floorboards. Amid the visiting walkers and cyclists were a lot of local families tucking in to roasts. The villagers have apparently been very supportive of the pub’s reincarnation, flocking to the regular Jazz & Pizza evenings and the monthly Sunday pub quiz, which sees half the entry fees donated to charity. Everyone seemed to be rubbing along nicely together and the service was extremely warm and friendly – I’d happily while away an afternoon here. Which is exactly what we did. The modern British menu comes courtesy of award-winning chef Phil Currie, previously of the Killingworth Castle in Woodstock. His cooking is inventive and ambitious, with a focus on seasonal, locally sourced ingredients (although everyone says that these days, right?). It’s certainly a cut above classic gastro-pub fare. 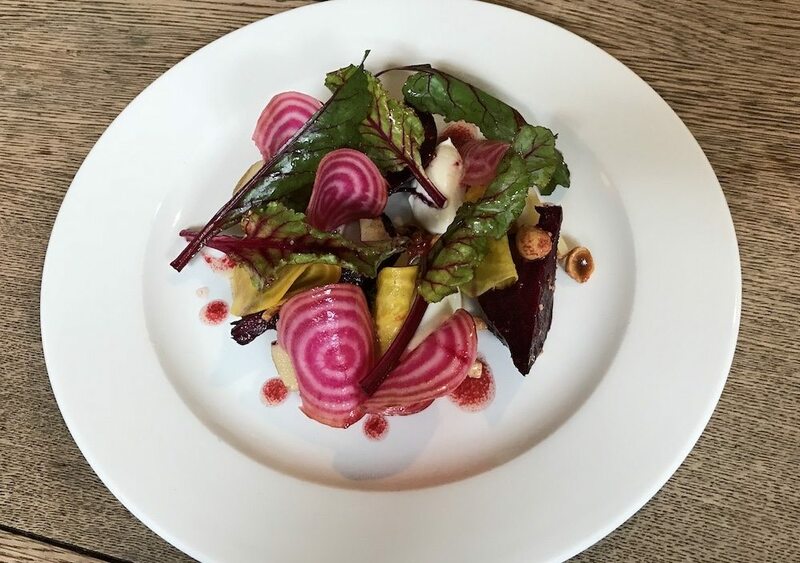 I started with a beetroot and potato salad, with goat’s cheese, hazelnuts and a raspberry vinaigrette. It was beautifully colourful, light and fresh flavoured with smokey undertones. Next up, I ordered gilt-head bream with broccoli puree and roasted broccoli with octopus, raisins, almonds and capers. Very tasty although I wondered if the raisins and almonds were slightly overkill. 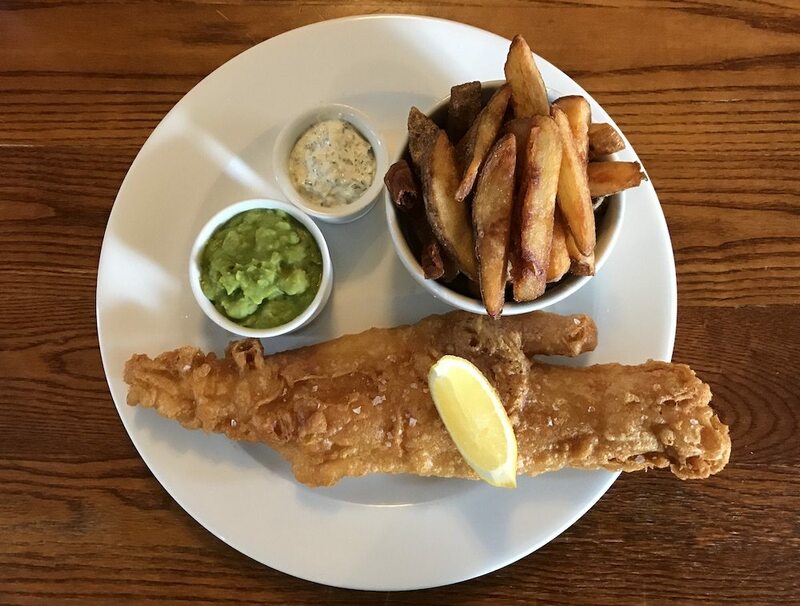 My son kept things simpler with beer-battered haddock, chips and mushy peas, while my husband and daughter both went for roasts (Aberdeen Angus beef sirloin and pork loin respectively) with all the trimmings. Big thumbs up all round. 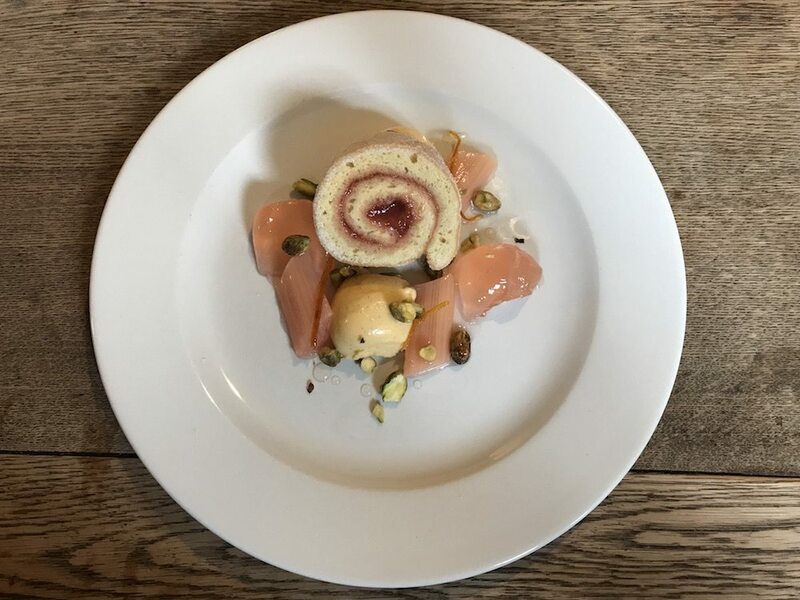 We shared a round of puddings between us: rhubarb Swiss roll with poached rhubarb and a delicious rhubarb jelly, a sumptuous chocolate fondant with salted caramel ice-cream, a bowl of chocolate ice cream with sour cherry sorbet and a generous selection of artisan cheeses and chutney. The wine is supplied by Oxford Wine Co. and Bibendum and there were no complaints about our glasses of Malbec and Sauvignon. More adventurous types may like to explore the regularly changing Wine Of The Moment (on our visit they were showcasing vino from a Catalonian vineyard, grown by some former villagers turned ex-pats). There’s also a good selection of gins, including Toad Gin which is distilled in Cowley Road, Oxford and ales from various local breweries. 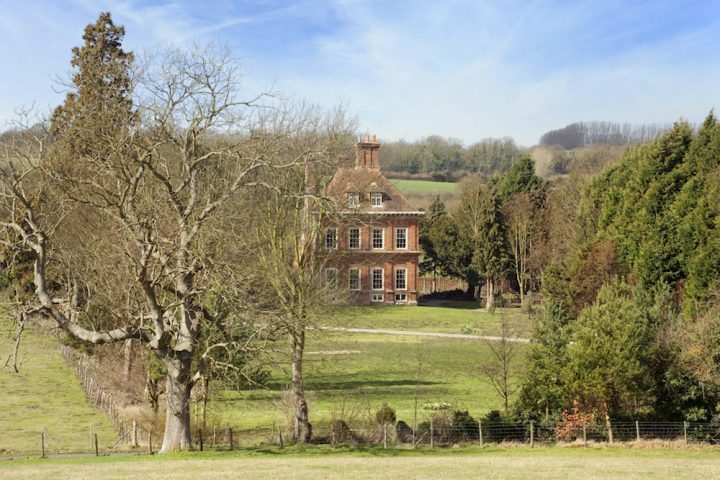 We weren’t staying over but I had a gander at the eight bedrooms, which attract a mix of holiday makers and businessmen and women who stay during the week (Milton Park near Abingdon and the Williams F1 Centre are close by). They’d be perfect for a cheeky sleepover at the weekend if you’ve palmed off the kids and drunk too much to drive home. 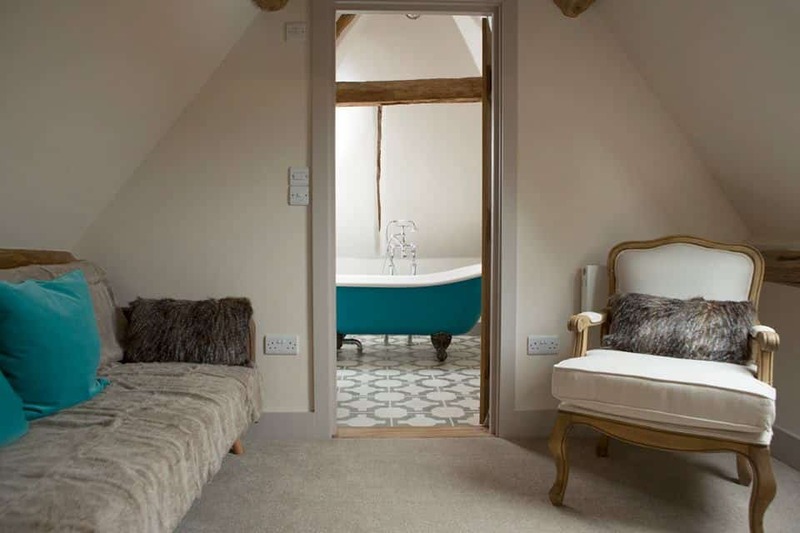 They’re newly refurbished, each one in a different style – and feel like a lovely spare room in your interior design-loving mate’s house, rather than a bog-standard pub B&B room. They range from small doubles to family-friendly suites, with dogs permitted in certain rooms. I’d go for the one with the roll-top bath if I were you. If you fancy something more invigorating than a stroll around the village (although it is very scenic), grab a map from behind the bar – Martyn has handily mapped four circular walks. These range from an easy 1 miler to a more strenuous, hilly 4.5 mile hike. Hero is always going on about pubs doing this – it seems such an easy thing to offer, and yet few actually do it, so she was well impressed! Good for: A family weekend lunch or a group dinner on a Friday or Saturday night, potentially with an overnight stay with – or better still without – the kids. If you’ve got a big rabble, it’s worth noting there’s two small dining rooms and a larger one off the main room which would work for parties. There’s a rather lovely walled L-shaped garden in which to contain exuberant toddlers. 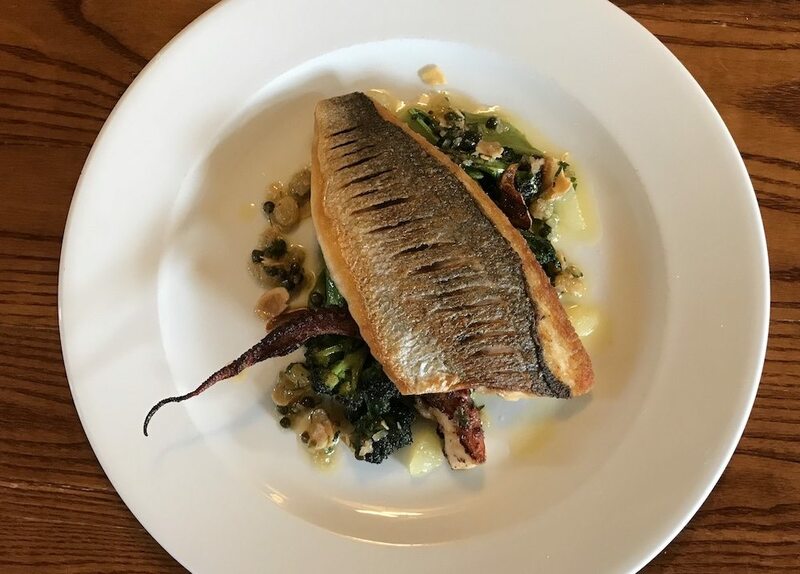 Not for: A very speedy, light lunch – although they do sandwiches during the week, the food is cooked to order so make the most of the wine list and fireside and take it easy, I say. 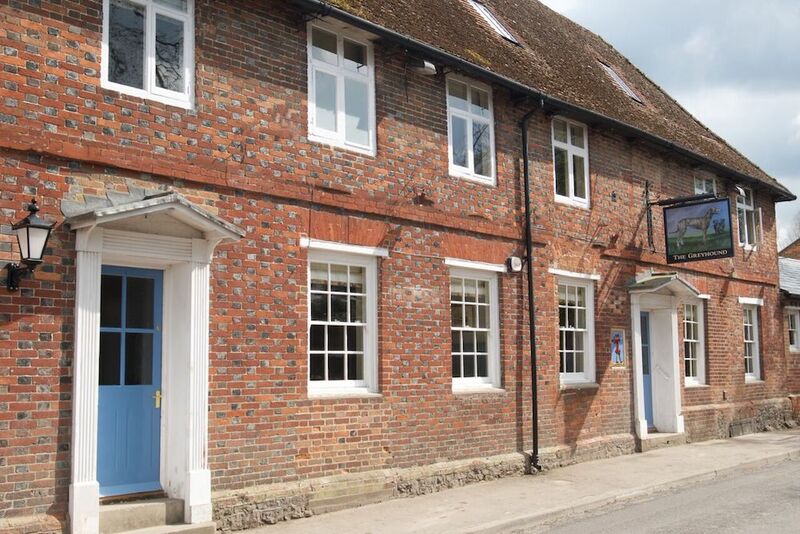 Foodie hipsters looking for Instagram likes – this is a good quality but unpretentious country pub. The damage: Very reasonable for cooking this good. Prices for the A La Carte and Sunday lunch are similar with starters and between £6-8 and mains £13-15. There’s also a very popular ‘Midweek Fix’ menu every Wednesday evening – two courses for only £12.50, an absolute steal. 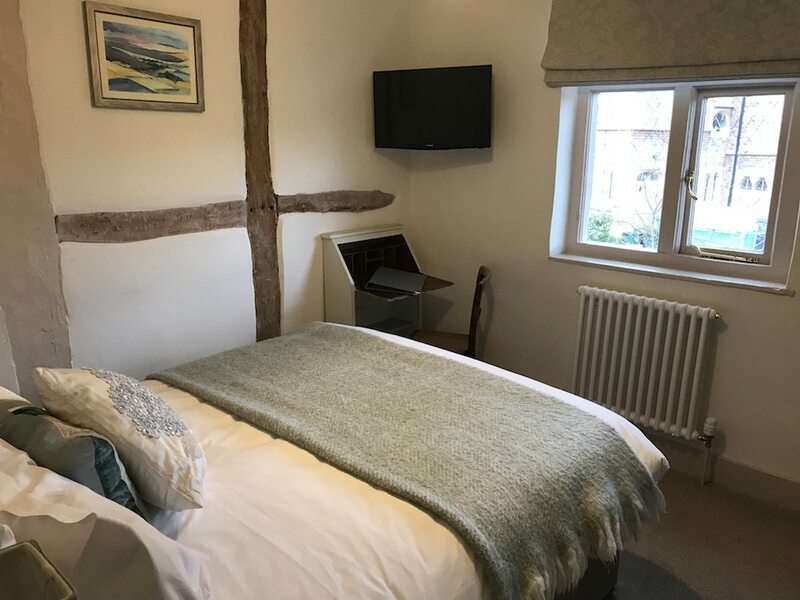 Rooms range from £90 – £140 per night B&B. This looks lovely, it was the “near the Ridgway” that made me look. I have some freinds who have walked the WHOLE Ridgeway over a number of days staying in various pubs so good to note.